The LOREX CVC6973HR has been discontinued. No direct replacement is available. 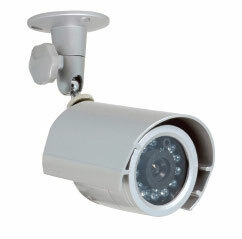 The LOREX CVC6973HR features True Hi Resolution: 1/3" CCD advanced image sensor produces video with 480 TV Lines and 380K pixels, Advanced Day/Night mode: Picture automatically switches camera to B & W delivering better clarity in low light conditions, 12 IR LEDs provides effective night vision range of 35 ft., Ceiling or Wall Mountable: Versitile Camera Stand allows the camera to be mounted on the Wall or Ceiling, Weatherproof Design: Ideal for Outdoor and indoor applications (IP67). Not recommended for submersion in water.